Did you know Google now lets you create a post on your Google My Business (GMB) listing? This is a great way to highlight events and promotions happening at your company. The possibilities here are endless and this is (currently) a free service offered by Google. Can you say FREE business advertising? To create a Google Post from a desktop computer, you just need to sign into your Google My Business account. Once there, just click on the location you’d like to manage. You will then click “Create post” or click “Posts” from the menu. You have options to include a photo (think coupon) as well as video. You also have the option to include a button. GO through each section and complete it. Once done, click preview to see what it will look like. 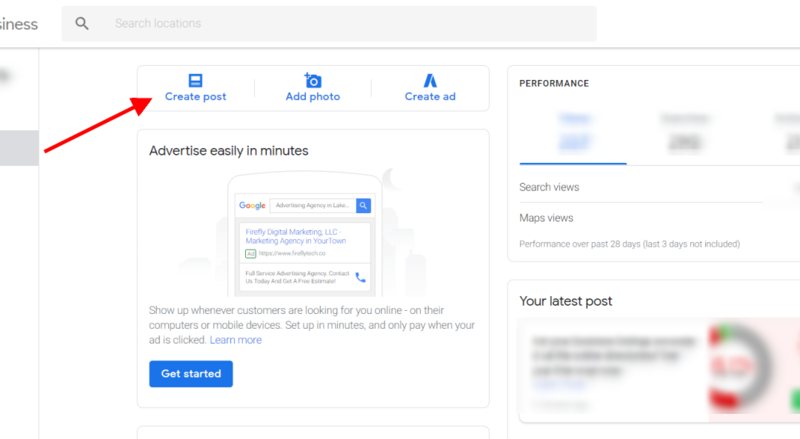 If you’re happy with the preview, simply click publish and the post will now show up on your Google My Business listing when someone searches for your company. But hold off a second, the post only last for 7 days then it disappears. If it’s for an event and the event ends within the 7 days, Google will go ahead and end it for you. You can always repost again after 7 days if needed or change it up each week. So are your listings accurate? Not only do inaccurate listings confuse your customers, they also affect how you appear in search results (SEO). Click here for a free scan to see if your business listings are accurate. You get the drift. What are you waiting on? Jump on over to Google My Business and get to posting. Learn more about our Listings & Review service that includes an easy to use dashboard to manage your Google My Business listing as well as 40+ other directories across the internet. The service also includes reviews management allowing you to, not only monitor reviews, but also request reviews from all your happy customers. How’s that for convenience?